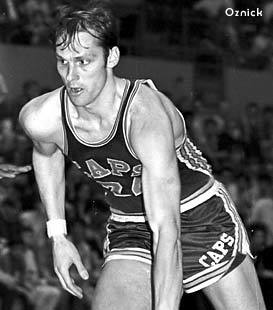 All-American at the University of Miami (FL); First Big-Name NBA Player to jump to the ABA; ABA Scoring Leader in 1968-69 with 34.0 ppg; Finished Second in ABA Scoring three consecutive times: 1969-70 (27.7 ppg), 1970-71 (29.4 ppg), and 1971-72 (31.5 ppg); Led ABA in Free Throw Percentage three times (1968-69, 1970-71, & 1971-72); ABA Record Holder for most consecutive free throws in one game with 23; 4 Time Member of ABA All-Pro Team; 4 Time ABA All-Star; Member of the National Basketball Hall of Fame. 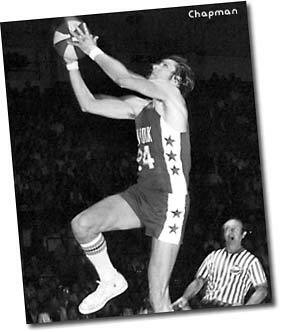 "For years, Barry was the ABA at its absolute individual best. 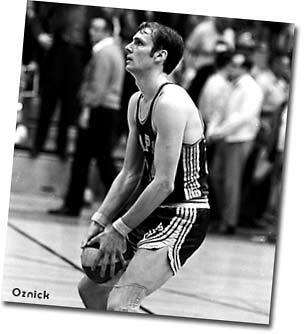 In the beginning, he was the young league's leading big-name star, and perhaps had an influence on others following suit and signing on with the upstart pro basketball circuit. " 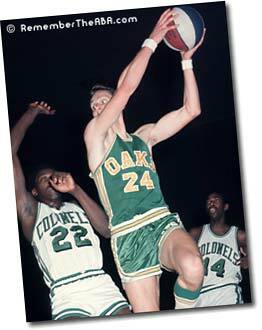 - ABA Sportswriter Jim O'Brien in his1972 book "ABA All-Stars." 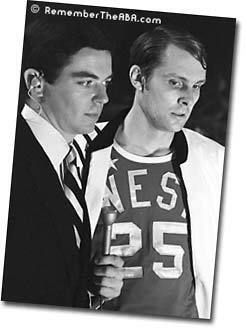 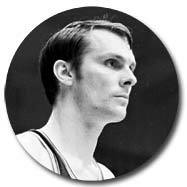 Read Jim O'Brien's entire Barry Interview/ABA Biography here.